Drug company execs are nervous. That’s because the greatest health advance in decades has hit the streets. And analysts expect it to put a huge crimp in “Big Pharma” profits. So what’s all the fuss about? It’s about a new ingredient that’s changing the lives of people who use it. Some call it “the greatest discovery since penicillin”! The name of the product is the AloeCure. It’s not a drug. It’s something completely different. And the product is available to anyone who wants it, at a reasonable price. But demands may force future prices to rise. TOP DOC WARNS: DIGESTION DRUGS CAN CRIPPLE YOU! Company spokesperson, Dr. Liza Leal; a leading integrative health specialist recommends AloeCure before she decides to prescribe any digestion drug. Especially after the FDA’s stern warning about long-term use of drugs classified as proton pump inhibitors like Prilosec®, Nexium®, and Prevacid®. In a nutshell, the FDA statement warned people should avoid taking these digestion drugs for longer than three 14-day treatment periods because there is an increased risk of bone fractures. Many people take them daily and for decades. Dr. Leal should know. Many patients come to her with bone and joint complaints and she does everything she can to help them. One way for digestion sufferers to help avoid possible risk of tragic joint and bone problems caused by overuse of digestion drugs is to take the AloeCure. Analysts expect the AloeCure to put a huge crimp in “Big Pharma” profits. body’s ability to break down and absorb calcium. Aloe delivers calcium as it aids in balancing your stomach acidity. The result? Thicker, healthier looking hair…more youthful looking skin… And nails so strong they may never break again. SAVE YOUR KIDNEY National and local news outlets are reporting Kidney Failure linked to PPI’s. Your Kidney extracts waste from blood, balance body fluids, form urine, and aid in other important functions of the body. Without it your body would be overrun by deadly toxins. Aloe helps your kidney function properly. Studies suggest, if you started taking aloe today; you’d see a big difference in the way you feel. GUARANTEED RESULTS OR DOUBLE YOUR MONEY BACK Due to the incredible results people are reporting, AloeCure is being sold with an equally incredible guarantee. “We can only offer this incredible guarantee because we are 100% certain this product will work for those who use it,” Says Dr. Leal. Here’s how it works: Take the pill exactly as directed. You must see and feel remarkable improvements in your digestive health, your mental health, in your physical appearance, the amount inflammation you have throughout your body – even in your ability to fall asleep at night! Otherwise, simply return the empty bottles with a short note about how you took the pills and followed the simple instructions and the company will send you...Double your money back! HOW TO GET ALOECURE This is the official nationwide release of the new AloeCure pill in the United States. And SLEEP LIKE A BABY A night without sleep really damages your so, the company is offering our readers up to 3 body. And continued lost sleep can lead to all FREE bottles with their order. sorts of health problems. But what you may not This special give-away is available for readers realize is the reason why you’re not sleeping. of this publication only. All you have to do is Some call it “Ghost Reflux”. A low-intensity call TOLL-FREE 1-800-748-3311 and provide form of acid reflux discomfort that quietly keeps the operator with the Free Bottle Approval you awake in the background. AloeCure helps Code: JC025. The company will do the rest. digestion so you may find yourself sleeping Important: Due to AloeCure’s recent media through the night. exposure, phone lines are often busy. If you CELEBRITY HAIR, SKIN & NAILS call and do not immediately get through, Certain antacids may greatly reduce your please be patient and call back. “Sunset Over Pikes Peak” by Mountain View Electric member Dennis Roesler from Colorado Springs. [cover] Camping is a great adventure for all ages. 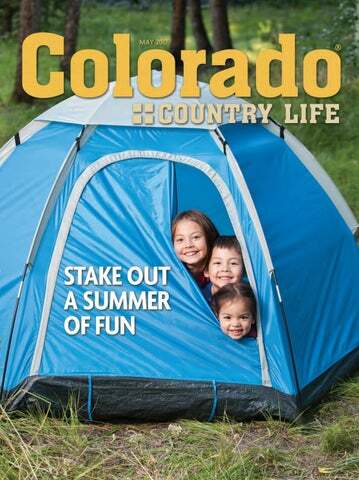 Read more about camping in Colorado on pages 16-19. Posted on @COCountryLife: Read about Colorado’s own Southeast Colorado Power Association, headquartered in La Junta, in the April issue of RE Magazine: http://buff.ly/2oRL1c6. @ColoradoREA: March 28 — Shout-out to K-C Electric Association linemen who went out to fix stormdamaged poles. the Enderson family of Cheyenne, Wyoming for traveling with the magazine. Here they are in Hawaii. Littleton resident, Karen Harris, placed 2nd in the National Cornbread Festival for her Chipotle Shrimp Salad with Cornbread. Have you found a favorite spot for your camping adventures? Share a photo or story of your favorite location on our Facebook page (facebook.com/ COCountryLife). The reader’s post with the most likes or comments will win a 2017-2018 Colorado State Parks annual pass. Deadline is May 15. CREA Executive Director Kent Singer (right) talks with a Mountain Parks Electric board member at Tri-State’s annual meeting. power supplies, Colorado’s electric co-ops are constantly working to serve you, the owners of the electric company. We’ve done if for over 75 years and plan to do it for many more with your continuing support. If your co-op annual meeting is coming up, I hope you take the time to attend and learn about your electricity provider. Who knows, you might also win a door prize! 10 lb. bag treats up to 4,000 sq.ft. $86.00. 50 lb. bag treats up to 20,000 sq.ft. $327.00. FREE SHIPPING! Certified and approved for use by state agencies. State permit may be required. Registered with the Federal E. P. A.
KillLakeWeeds.com Order online today, or request free information. Every Saturday May 27-September 2 at 11 a.m. at the National Museum of World War II Aviation, Colorado Springs Children ages 6 to 13 and their adult chaperones will learn about the history of World War II, aviation fundamentals and how planes are restored on these two-hour tours. All participants receive a certificate that shows they completed the airmen familiarization tour, general aviation materials and an aviation nautical chart of Colorado. Prepay online for a discount. For more information, call 719-637-7559 or visit bit.ly/2o0Ytuh. GFCIs Keep You Safe Have ground fault circuit interrupters professionally installed on your home’s outlets. GFCIs are recommended for outdoor outlets and outlets near wet areas of the home, such as kitchens, baths and laundry rooms. situation. We strive to provide our communities with safe, reliable and affordable electricity and to serve as your trusted energy advisor now and well into the future. OUR RESPONSIBILITY TO EMPLOYEES It is no accident that safety is a top priority at White River Electric. We Alan J. Michalewicz are committed to a culture of safety that is integral to our daily operations. In fact, WREA is part of the Rural Electric Safety Achievement Program that follows specific guidelines and protocols for electrical safety that are considered leading practices. Our lineworkers are required to wear personal protective equipment at all times when on the job. This includes special fire-resistant clothing that will self-extinguish, limiting potential injuries from burns and sparks. Insulated and rubber gloves are worn in tandem to protect from electrical shock. Our safety team regularly discusses important safety issues pertaining to work within the building, as well as out in the field. As the general manager of White River Electric, I believe it is my duty and responsibility to raise awareness about the importance of electrical safety. Take a moment to plug into safety. Please visit www.safeelectricity.org for tips about how to keep you and your loved ones safe. Listed below are the names of White River Electric Association members who have WREA capital credit refund checks that were either returned by the postal service as undeliverable or were not cashed in two years. If you know any of the members listed below, please ask them to contact WREA at 970-878-5041 or via email at customerservice@wrea.org. Can be placed virtually anywhere in your home. to your home’s décor. By contrast, the Easy Climber® Elevator can be installed almost anywhere in your home. That way you can move easily and safely from floor to floor without struggling or worse yet… falling. Why spend another day without this remarkable convenience. Knowledgeable product experts are standing by to answer any questions you may have. Call Now! Call now to find out how you can get your own Easy Climber Elevator. Please mention promotional code 105798. For fastest service, call toll-free. Revolutionary elevator can give you– and your home’s value– a lift Elevators have been around since the mid 19th century, and you can find them in almost every multistory structure around… except homes. That’s because installing an elevator in a home has always been a complicated and expensive home renovation project… until now. Innovative designers have created a home elevator that can be easily installed almost anywhere in your home by our professional team without an expensive shaft-way. Electric Co-ops Reward Science Students Colorado’s electric co-ops again honored two top projects at the Colorado Science and Engineering Fair thanks to the financial support of CoBank. The 62nd annual statewide science fair held April 6-8 at Colorado State University in Fort Collins included more than 300 projects created by students in grades six through 12 from across the state. As a sponsor of the EnergyWise Award, the Colorado Rural Electric Association was represented by Stuart Travis, a member of the CREA board from Y-W Electric in Akron, who served as the judge for the EnergyWise Award. Travis, a former state science fair exhibitor himself, enjoyed quizzing the students exhibiting at this year’s fair and learning about their projects. This year’s winners are middle schooler Tate Schrock, a seventh-grader at Arickaree School in Anton and high school students Michelle Ren and Julianna O’Clair, 10th graders at Brush High School in Brush. Tate’s project, titled “H2 and O2 Generator Fabrication and PEM Fuel Cell Efficiency,” was a successfully built H2 and O2 generator that split water molecules to be used in a fuel cell as another way to create renewable energy. Michelle and Julianna titled their project “Energy Production of Microbial Fuel Cells” and studied the use of microbes from the soil or wastewater to generate electricity. They showed that adding a salt or sugar solution to the process increases output. Each of these projects was awarded a special certificate and a $250 prize. The students will also be invited to exhibit their projects at the CREA Energy Innovations Summit this coming October. Michelle Ren and Julianna O’Clair find ways to increase the power output from microbial fuel cells. Tate Schrock explains using electrolysis to split H2 and O2 and create a carbon free energy source. AG IS OUR MIDDLE NAME Money for agriculture. It’s what we know. It’s all we do. Call 800.799.6545 today or visit AgLoan.com A part of the Farm Credit System. Equal Opportunity Lender. Low prices versus security In other words, the rapid rise in the number of internet-connected devices has been building for decades, says Tim Heidel, deputy chief scientist with the National Rural Electric Cooperative Association. “The ‘internet of things’ is the latest buzzword that reflects a long-term trend,” Heidel says. “Ten years ago, you may have had six or eight or 10 devices on the wireless router in your home. Now, that number can go as high as 25 or 30 devices.” Heidel credits lower costs for ramping up this high-tech revolution, which can make life more convenient and fun, and even increase energy efficiency with new ways to control heating, cooling, lighting and other electricity users. “The cost of including communications in the devices has come down dramatically. Twenty years ago, you could only afford an ethernet port or Wi-Fi in a computer,” Heidel says. “Now, we’re getting to the point where it costs literally only pennies to include that capability in any device imaginable. “So what’s changing here is the number of devices. Once you have a critical mass of all the places that are capable of communicating, they can then start communicating with each other. ware whenever security updates are available so it’s protected as new vulnerabilities are discovered.” Other security steps Hsu recommends: •	Install firewalls in your home network. •	Change the default passwords regularly in devices you purchase. •	Disconnect gadgets when they’re not being used. “Not everything needs to be plugged into the internet all the time,” she says. Keep in mind that the electronics in your home can not be accessed from outside without you allowing it. For example, your electric utility cannot access your refrigerator’s energy usage unless it is a smart refrigerator that you allow access to and it is connected to one or more online applications. The folks at your local electric co-op can offer expertise in managing the promise and the problems of what is called the “internet of things,” and they can answer questions about efficient energy usage. NRECA, your co-op’s national association, is researching some of the newest devices to understand how they can be used for energy efficiency. “NRECA does a lot of research to help guide, deploy and test these devices,” says Venkat Banunarayanan, NRECA’s senior product development manager. “These projects are looking at how to use these devices in the ‘internet of things’ to bring value to the co-op and its members.” Paul Wesslund writes on cooperative issues for the National Rural Electric Cooperative Association. *Price does not include installation. Do you think food tastes better when cooked over a campfire? Is a star-filled sky your perfect night light? Maybe the twitter of birds sounds like a concert to you. That is because the great outdoors beckons you, as it does many of us. If you want the tranquility of a solitary hike through the forest followed by a night around the fire or the thrill of a raft splashing through the rapids of a Colorado river before pitching your tent along the riverbank, now is the time to start planning those summer adventures. Dust off your outdoor gear, air out the sleeping bags and reserve your summer camping spots now. Get ready to hike, fish, camp, canoe, raft, bike, rock climb and have fun. SOMETHING FOR EVERYONE Some 45.5 million people went camping in North America in the spring of 2016, according to statista.com. But, it’s a little more difficult to quantify their favorite way to camp or where their favorite camping spots are. For Colorado, everyone seems to have a different list of favorite places. TravelChannel.com lists Jellystone Park™ Larkspur as one of the top 10 best family-friendly campgrounds where you can park your RV, pitch your tent or rent a teepee, yurt, cabin, lodge or cottage. The Yogi Bear™ focused park offers themed weekends throughout the year including Mother’s Day Weekend, PJ Party Weekend and Christmas in July Weekends. Mountain Adventure Center in Estes Park now offers cliff camping. You and your guide will set up a wall camp using a “portaledge” on a sheer rock face hundreds of feet off the ground. Looking for comfort rather than adrenaline? Try ‘glamping’ where camping is combined with resort-like amenities. You can experience the great outdoors and then settle in to a plush home away from home with a soft bed and lots of extras. Rocky Mountain Lodge & Cabins in Cascade offers such niceties and also comes with cable television, fully-equipped kitchens and stunning mountain views. A young camper gets ready to hike Mt. Bierstadt. FIND IT ONLINE The one commonality in all of these options and others is that they can be found using online resources. “Searchable online directories enable campers to really tailor their searches based on the geographic location, amenities and services that are most important to them and their families,” Brost says. 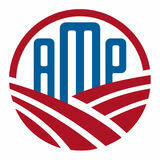 GoCampingAmerica.com offers one of the largest online databases of privately-owned campgrounds. Campers can pinpoint their exact needs or compare parks along their route by searching in broader terms. The National Park Service has a variety of locations available for camping, with many of those in Colorado’s national parks and monuments. Go to www.nps.gov/subjects/ camping. Or, reserve a spot in a Colorado state park at cpw.state. co.us/thingstodo/Pages/camping.aspx. Another Colorado resource is The Colorado Vacation Directory at coloradodirectory.com. Find even more options by searching the internet for other camping databases. FULFILL YOUR CAMPING NEEDS Before beginning your search, Brost says it can help to take a few minutes to define what’s really important to you. Ask yourself these questions: •	Is there a certain geographic area you’re interested in? •	Do you want to be in the mountains, by a river, or near a reservoir, historic site or another attraction? •	What type of site, hookups and services will you need? •	Are you looking for a kid-friendly campground or one that caters more to adults? •	Will you need a campground that’s pet friendly? •	Are you interested in organized activities or recreational perks, such as pools, water parks, canoeing, kayaking or fishing? If you are new to camping, you may want to “test drive” the camping experience before investing in a lot of equipment. “One option is to consider renting an RV,” Brost says. “Many campgrounds also offer furnished accommodations, such as cabins or park models. Some even rent yurts, teepees, vintage Airstream trailers and covered wagons!” Do some exploring, find a campground or RV park that matches what you are looking for and go have an adventure this summer. Debra Gibson Isaacs is based in Lexington, Kentucky, where she is an avid adventurer. Despite being in close contact with black bears for 50 years, Rogers has never been attacked. “Even when I was holding a tiny cub I had pulled from a den and that was screaming for its mom, I did not even get touched.” But, if they do attack, should you run from a bear? “I hear that question frequently,” Rogers says, “and people have reacted and done everything across the board. Mostly what I hear when people talk about encountering a bear is that they ran one way and the bear ran another.” But Colorado’s black bears aren’t the only wildlife to be concerned with while camping. Here are a few other bits of advice on other wildlife from Colorado Parks and Wildlife: •	Never feed any wildlife. •	With coyotes and mountain lions, do not run or turn your back; be as big and loud as possible. •	If a mountain lion attacks, fight back with rocks, sticks or whatever is available. •	Give any moose plenty of space and avoid any confrontation. If a moose does charge, run and get behind something solid, such as a tree, as quickly as possible. •	Don’t allow small pets to roam in red fox or coyote territory; use loud noises to scare off a fox. •	Keep a safe distance when watching wildlife in their natural surroundings; never walk up to them to get a great photograph. Remember, when you go camping you are staying where the bears, coyotes, lions and all the other wildlife live. Be prepared and respect their home. The conflicts are usually minimal, and it’s a great opportunity to enjoy adventures in the great outdoors. ■ TRYING TO KEEP UP: Rapid shipments of packages containing Vault Bricks loaded with valuable .999 solid U.S. State Silver Bars are flowing around the clock from the private vaults of the Lincoln Treasury to U.S. State residents who call 1-888-282-6742 Ext.FMS2146 to beat the 7-day deadline. If all lines are busy call this special toll free overflow hotline: 1-888-414-3758 Ext.FMS2146 residents who find their state on the Distribution List to the left in bold and beat the deadline are authorized to get individual State Silver Bars at just state minimum of $59 set by the Lincoln Treasury. That’s why everyone should be taking full Vault Bricks loaded with five State Silver Bars before they’re all gone. And here’s the best part. Every CO, UT, WY, NE, KS, OK, NM and AZ resident who gets at least two Vault Bricks is also getting free shipping and free handling. that's a real steal because all other state residents must pay over six hundred dollars for each State Vault Brick. MUST REMIT $134 PER STATE SILVER BAR 1. No State Silver Bars will be issued to any resident living outside of CO, UT, WY, NE, KS, OK, NM or AZ at state resident minimum set by the Lincoln Treasury. 2. Call the Non-Resident Toll Free Hotline beginning at 11:00am at: 1-888-414-3761 Ext.FMS2146 3. If you are a u.s. resident living outside of the states of CO, UT, WY, NE, KS, OK, NM or AZ you are required to pay $134 for each State Silver Bar for a total of six hundred seventy dollars plus shipping and handling for each sealed State Vault Brick loaded with five u.s. State Silver Bars. This same offer may be made at a later date or in a different geographic location. TIPS Win a CastIron Cookware Package Enter our May contest for a chance to win a package of goodies from Lodge® Manufacturing. For information and instructions to enter see page 25 or visit colorado countrylife.coop then click on “Contests.” Seasoning Secret Cast-iron needs to be seasoned before you cook with it. All your cookware needs is to have oil baked into it, which creates a nonstick surface. Cast-iron skillets are durable and chemical free and can be used at home or even in the great outdoors. They can go from a campfire to a cooktop to an oven without the risk of damage. Cooks love cast-iron skillets for their longevity, reliability and nonstick surface. Every year, Lodge® Manufacturing sponsors the National Cornbread Cook-Off where contestants cook with at least one Martha White® Cornbread Mix in Lodge® castiron cookware. This month, here and on our website, we feature the 2016 winners, one of whom resides in Littleton. Think you’re up for next year’s challenge? Try these recipes to find out what you’re up against. GREEN TOMATOES: 1 cup panko 1 1/4 teaspoons Cajun seasoning 1/2 cup Martha White® Sweet Yellow Cornbread and Muffin Mix (from a 7-ounce bag) 1 egg 1/4 cup milk 8 slices firm, green tomatoes Vegetable oil, for frying SHRIMP: 1 pound shelled, deveined shrimp, thawed if frozen 2 tablespoons lemon juice Kosher salt, to taste 1 tablespoon paprika 1∕8 teaspoon coarse black pepper 3 tablespoons vegetable oil 1/4 cup chopped cilantro Lemon wedges, if desired Hot sauce, if desired Mix all remoulade ingredients in a small bowl and set aside. In a large bowl, mix all the arepa ingredients except cheese until well combined. Heat a 10 1/4-inch Lodge® cast-iron skillet over medium heat until hot. Spray with non-stick cooking spray. Pour about a 1∕3 cup of batter into the hot skillet (dividing to make 4 arepas). Cook until the top has a bubbly surface and flip. Sprinkle the top with about 2 tablespoons of cheese; cook until light brown on the bottom. Fold the arepa over to make to make a half moon. Repeat to make a total of 4 arepas. Transfer to a plate and cover to keep warm. In a shallow pan, combine the panko and Cajun seasoning. Place the corn bread mix in a second shallow pan. In a small bowl, whisk together the egg and milk. Dip a tomato slice in the corn bread mix, then the egg mixture and finally in the panko mixture. Repeat to bread all 8 tomato slices. In the cast-iron skillet, over medium-high heat, add enough oil to cover the bottom and about 1/2 inch up the sides. Fry the tomatoes, flipping once, until browned on both sides. Transfer to a paper-lined plate. In a bowl, toss the shrimp with lemon juice, salt, paprika and pepper. Add oil to the cast-iron skillet, over mediumhigh heat. When hot, add the shrimp. Cook, flipping once, 3 to 4 minutes, or until the shrimp turns opaque and is just slightly browned around the edges. Transfer to a plate. Arrange the arepas on a platter. Top each with 2 tomatoes and shrimp, dividing equally. Drizzle with the remoulade. Sprinkle with cilantro. If desired, serve with lemon wedges and hot pepper sauce. planted at a jail and maintained by inmates. Detainees who go through background checks can reduce their sentences by working in the garden. They receive horticultural training with a focus on the planting and care of roses. As a result of their efforts, more than 400 varieties of roses bloom all summer. You can see hybrid tea, grandiflora, floribunda, miniature, hardy shrub, old garden, climbing varieties and much more. It’s the perfect place to learn about the different rose varieties, how they look and how well they grow in our climate. A few years ago I interviewed a Colorado bowhunter for our city newspaper. He was being honored for winning just about every state and national title an archer could possibly win during his career. He took more than 14 different species of big game animals over the years, 10 of which are listed in the Pope and Young Club’s Bowhunting Big Game Records of North America. All of this is amazing enough, but the intriguing thing is that he did it all shooting handmade wooden recurve and long bows. He makes his own arrows and weaves custom Flemish bow strings as well. He uses no sights or other mechanical devices on his equipment — just a straight-up stick and string. Cool. When I asked him why he chose to hunt with a handmade stick bow, as they are often called, instead of a modern, more efficient high-tech compound bow, he said, “I don’t know. Maybe for the same reason some guys prefer to fly-fish with handcrafted bamboo rods. I just like them. They’re simple, elegant and a pure a joy to use.” He had a point. Modern compound bows are a metallurgical collision of aluminum alloys, steel cables and elliptical cams, manufactured on computer-controlled machines and festooned with all kinds of after-market technological gimmickry: fiber optic sights shock-absorbing torque stabilizers, springloaded arrow rests, and so on. They shoot extremely well, but they’re uglier than homemade sin — in my opinion, anyway. A handcrafted longbow by comparison is a sleek, slender, graceful work of functional art. So is a handmade split cane fly rod. Both ooze understated elegance, historical romance and the kind of ageless beauty that only organic materials and exemplary artistic talent can create. The fly fishermen I know who fish bamboo will tell you there’s nothing like it. Not that it’s any better functionally than graphite or fiberglass, but it just feels good in the hand — a quality that is admittedly hard to define. It has the distinct heft of real wood and an organic, tactile feel that almost makes it seem alive, which, of course, it once was. Some will get downright spiritual about it and tell you how fishing with bamboo rods can connect us to our angling predecessors and lead us to a deeper understanding and respect for the origin of the sport. Others will tell you that fishing with a rod they know was lovingly and meticulously crafted by a dedicated artisan takes on a kind of mystical quality that has to be experienced to be appreciated. I know that sounds more than a little syrupy, but having fished with bamboo rods for quite a few years now, I have to say they’re right. 6-quart/12-inch camp Dutch oven 12-inch tote bag 60-inch tripod and tote bag Deluxe lid-lifter Lid stand Cast-iron trivet/meat rack Outdoor spatula, tongs, brush and spoon •	Charcoal starter •	Chuck wagon dinner bell •	… And more. For sweepstakes details and a copy of the entry form, please visit coloradocountrylife.coop. Don’t Drive Distracted Don’t Drive Distracted Don’t text and drive. Be smart. Don’t text Stay safe. and drive. Don’t let a safety hazard dampen your summer fun. Water and electricity are a dangerous mix. NEVER touch any electrical appliances or outlets when you are wet or standing in water. Window buyers have a number of choices to make. Double-pane windows are necessary to meet code for most applications, but the additional cost for triple-pane windows are worth the investment in areas with extreme temperatures. Choosing argon or krypton gas between the panes adds a little more efficiency. Having a low-emissivity coating added to the glass is a worthwhile investment. The most important benefit of this “low-e” coating is its ability to reflect heat back into the interior space, which reduces heating bills and increases comfort. These coatings reduce solar heat gain as well, which helps with airconditioning costs. Fortunately, windows are rated for energy efficiency, so you don’t need to know all the details about their construction. The most important indicator of a window’s energy efficiency is the U-factor, which measures the rate in which the entire window loses heat; lower U-factors are more efficient. The window framing material, the number of layers of glass and the special coatings on the glass all contribute to the overall U-factor. Working Installing replacement winwith a dows and new siding at the professional same time opens up additional is important opportunities. Here, an inch because poor of rigid foam-board insulation installation can was added while replacing result in long- windows. term damage, such as moisture problems, which can create mold, mildew and rot in the wall. This can prevent the window from operating properly or cause the paint to peel. As you look into window replacement, think about your goals. If reducing your energy costs is important, weigh an investment in new windows against other energy efficiency opportunities you may have. Pat Keegan and Brad Thiessen are with Collaborative Efficiency, which partners with electric co-ops on efficiency projects. For the sixth year in a row, Colorado’s Electric Cooperatives will ride in the Pedal the Plains bike tour to raise money for Energy Outreach Colorado and to share information about your local electric cooperative. Pedal the Plains is a three-day ride on the plains of eastern Colorado. The 2017 tour will highlight the Animal Sanctuary, family-owned farms and education stops. Visit pedaltheplains.com for more information. REGISTRATION FOR THE CO-OPS’ POWERING THE PLAINS BIKE TEAM IS NOW OPEN When registering for the electric co-op team: 1. Go to pedaltheplains.com. 2. Select Registration. 3. Click on the Register Now Button. 4. Click Join an Existing Team. 5. Select Colorado’s Electric Cooperatives from the drop-down menu and follow the prompts. RULES FOR ENTERING: 1. 2. 3. 4. 5. 250 word maximum. Each entry must be accompanied by an entry form provided on our website. Send only digital or copy of any original photos. Photos will not be returned. Entrants must be a member of an electric cooperative. Stories and photos submitted may be published in the magazine and/ or on Colorado Country Life’s social media channels. Specializing in Post Frame Metal Buildings Hay Sheds, Machines, Sheds, Horse Barns, Garages, Residential Homes, Commercial Buildings, Plumbing, and Concrete in Colorado. Find hidden treasure in the CLASSIFIEDS Read through the ads and FIND the CCL classified explaining how to WIN a $25 gift card. It’s easy. You could WIN. The classified ads April contest winner is Janis Gollam of Walsenburg, a member of San Isabel Electric. There were 28 ads. ROCKIES TICKET WINNERS KATHY HABAN OF FALCON, A MOUNTAIN VIEW ELECTRIC MEMBER Winner of four Colorado Rockies tickets in the autism section during Autism Awareness Night, April 22. LAURIE HALLENBECK OF HAYDEN, A YAMPA VALLEY ELECTRIC MEMBER Winner of four Colorado Rockies tickets in the general seating during Autism Awareness Night, April 22. Don and Mary Sue Akin of Empire Electric make a new friend on a farm in “up country” Maui, Hawaii. Kathleen Rutter of Grand Lake takes her copy of Colorado Country Life to the Towers in Torres del Paine National Park in southern Chile. Pam Jacobs and Jane Stuart hold Colorado Country Life is in Vegas with Elvis thanks to Snappy, a baby alligator, during their Kathleen Jackson, a Mountain View Electric member from visit to Everglades National Park. Monument. WINNER: Leslie Doran, a La Plata Electric member from Durango, visits Belvedere Castle in New York’s Central Park. We pay $15 to each person who submits a funny story that’s printed in the magazine. At the end of the year we will draw one name from those submitting funny stories and that person will receive $200. Send your 2017 stories to Colorado Country Life, 5400 Washington St., Denver, CO 80216 or email funnystories@coloradocountrylife.org. Don’t forget to include your mailing address, so we can send you a check. Neat Knickknacks for Noshing After a great day exploring the outdoors, a meal by the campfire is sure to hit the spot. Sure, you can craft yet another sandwich. Better yet, you could grill up all kinds of good stuff with a portable outdoor grill. Colorado Springs-based Camerons Products has just the right tools to grill grub easily and expediently with its portable outdoor grill. This 12.5-inch nonstick grill holds up to 8 pounds of food, folds down to 4 inches thick and comes with a handy carrying bag. Cost is $34.99. In addition, Camerons sells marshmallow forks that can roast two marshmallows at once ($19.99), corn grilling baskets that hold up to four ears of corn ($12.99) and a tailgating table that conveniently holds beverages and snacks ($54.99). For more information, visit cameronsproducts.com. The Ultimate Hiker’s Gear Guide Long-distance hiker Andrew Skurka shares tips on planning and packing for the ultimate hike and offers suggestions on the best gear to get you there in The Ultimate Hiker’s Gear Guide: Tools & Techniques to Hit the Trail. In addition, Skurka, who resides in the Boulder area, offers advice on campsite selection, shelter and sleep systems, tips on foot care and more. Visit andrewskurka. com for more information and ordering details. WIN YOUR OWN COPY! Head over to coloradocountrylife.coop, click on Contests and find out how to get your name in the drawing. Do not overload electrical outlets. Never use electrical cords that are frayed or damaged. Never use electrical equipment near water and other liquids. Never use light bulbs that exceed the recommended wattage for any lighting unit or fixture.